roadside & mobile repair services are available 24/7. fully equipped to handle all of your mobile repair needs. Serving Frederick, MD and surrounding areas along Rt.270, Rt.70, Rt. 40, Rt. 15, and beyond with heavy duty truck repair, truck towing, tractor-trailer towing and repair, truck & D.O.T inspections, RV repair & towing, bus repair & towing, trailer repair & inspections, emergency roadside assistance, mobile repair, fleet maintenance, limited equipment hauling, and more. Dedicated contract maintenance for private truck fleets. 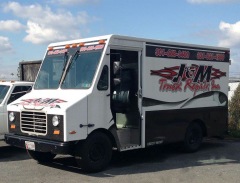 When you are in need of a professional and reliable wrecker service, towing company, mobile truck repair, or truck repair in the Frederick, MD area, look no further than J & M Truck Repair. 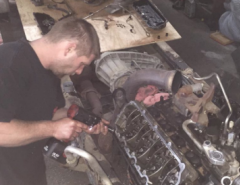 With over 25 years of experience, J & M Truck Repair is committed to delivering professional, reliable and affordable towing and truck repair services. We are proud to offer repair and towing service for trucks, RVs, buses, and trailers, at the most cost-efficient prices, in the most time-efficient manner. We stand behind our reputation for delivering prompt, expert service in Frederick, MD. From emergency towing to heavy duty service, you can trust J & M Truck Repair to deliver the best possible service. 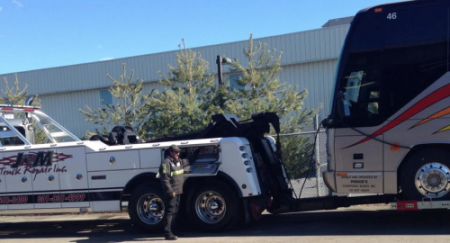 Call on J & M Truck Repair, in Frederick, MD, when you need your truck, bus, trailer, or heavy equipment towed or repaired. 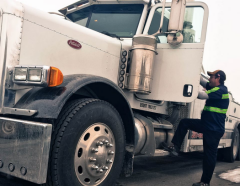 We not only provide heavy duty service to tow your equipment, but we also can perform repairs on diesel and semi trucks, RVs, buses, and trailers. 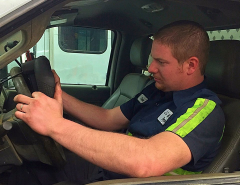 With J & M Truck Repair, no job is too big or small – we do it all! Why Choose J & M Truck Repair? Website Design Services by Frederick Advertising, LLC.